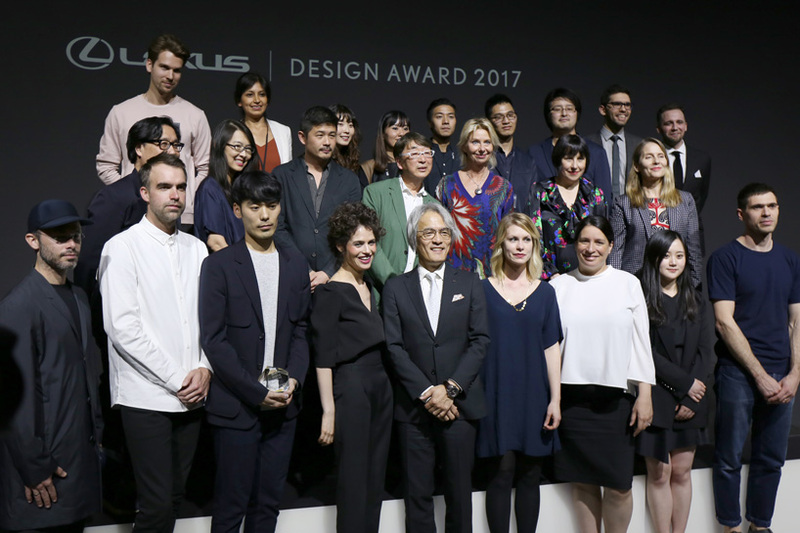 launched in 2013 and co-organized by designboom, the LEXUS design award celebrates its 5th anniversary of stimulating ideas for a better tomorrow, supporting up-and-coming designers and creators from all over the world. 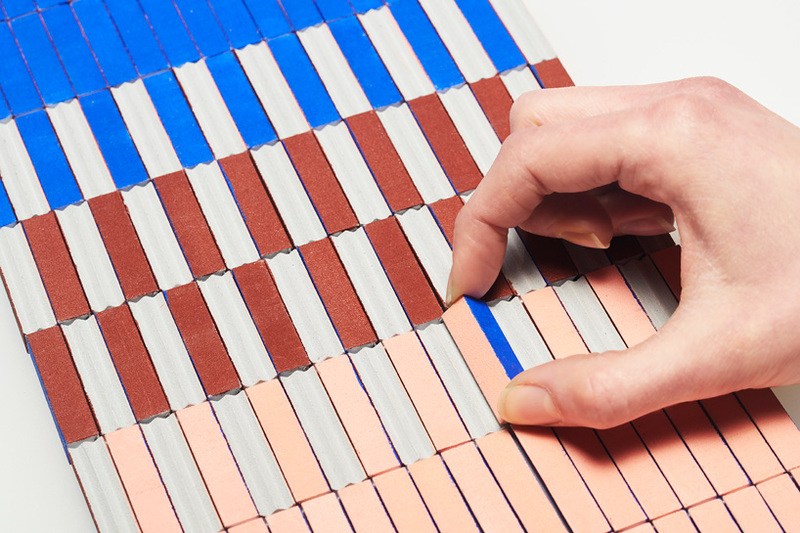 with more than 4,000 participants from 63 countries, and after selecting 12 finalists and four prototypes (announced on designboom here), ‘pixel’ by hiroto yoshizoe—mentored by snarkitecture—has been awarded the grand prix during milan design week 2017.
following this year’s theme YET, ‘pixel’ by hiroto yoshizoe is a device that lets people experience the existence of light and shadow with their full consciousness. it uses a configuration of visors to create a range of optical effects. through repeated internal reflection, input images are averaged into square outputs. by converting light and shadow into a clear and sensible form, viewers can experiences this beautiful fundamental phenomenon. 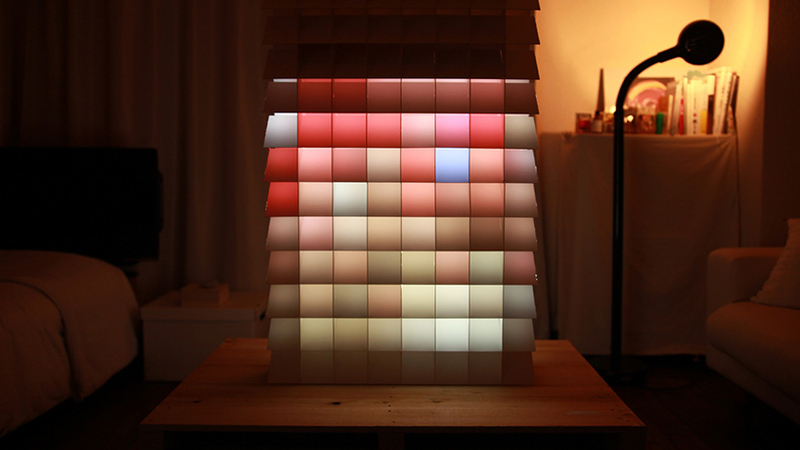 the magic of ‘pixel’ resides in its simple, electricity-less mechanism that uses reflection to divide light into the stackable modules, resulting in mesmerizing colors and pixelated images. 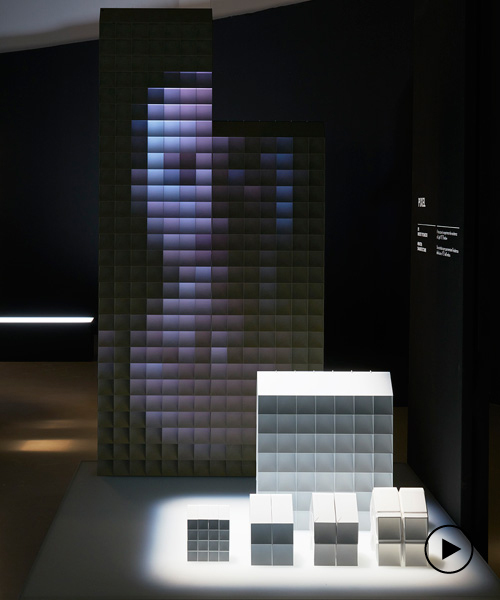 these modules act like building blocks, allowing infinite configurations that can be applied as a self-supporting façade in architecture, or as a room divider in interior applications. 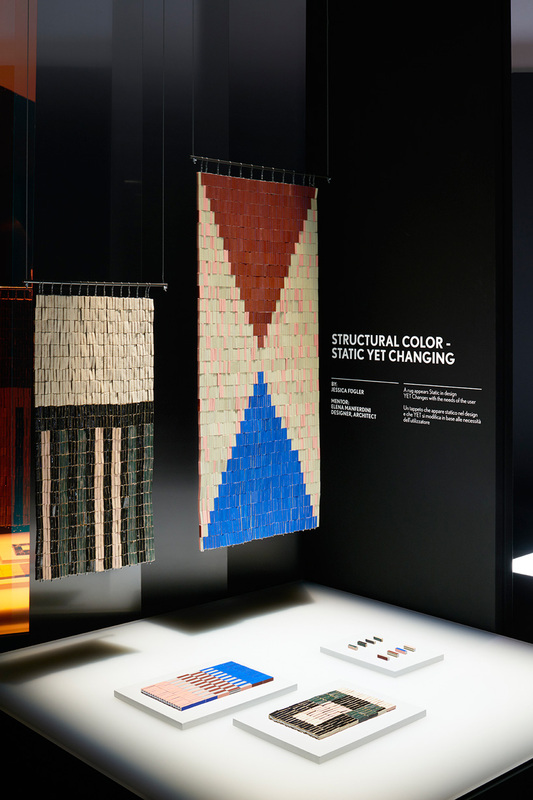 ‘pixel’ works once a light source—natural or artificial—hits its angular structure and starts being reflected and re-reflected inside of it, generating a pixel-like effect that can be viewed as bits of light, shadow and color. the design involves two contrasting elements that when brought together that resonate with each other to move the viewer. through this, the contrasts are intertwined with each other; light and shadow, inside and outside, one side and another. by existing between these two contrasts, the device itself can be used for dividing, transforming, and connecting at the same time. the sensations it generates encompasses the competition’s theme as it’s all about creating light yet shadow. ‘in this world that we live in, everything is mirrored in our eyes with light and shadow. a chandelier sparkling beautifully, mobile phones and cinema screens, morning sunlight pouring into a dark room, a child’s smile reflecting the candles lit on a cake. light and shadow exist as contrasting elements that compose scenes of your daily life,’ comments hiroto yoshizoe. 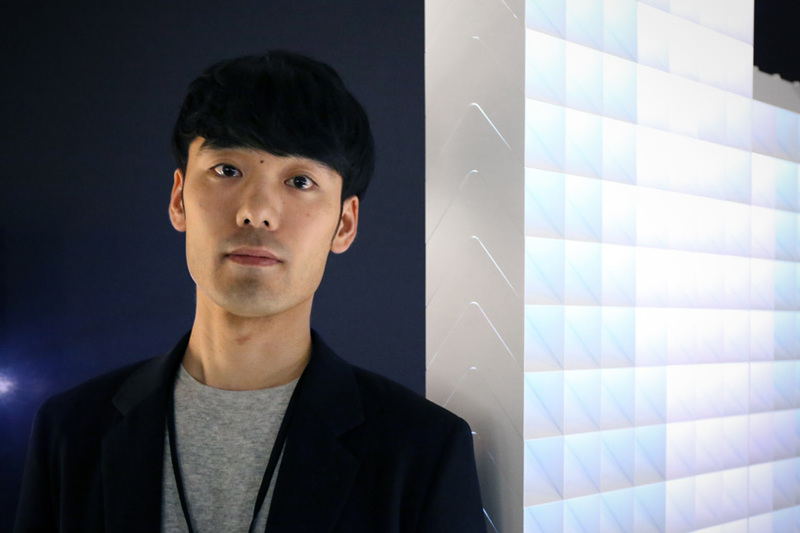 ‘the LEXUS design award always presents a fascinating survey of the issues currently engaging young designers, and what they consider to be the most important challenges and compelling opportunities for design today. yet the quality and scale of ambition of the submissions to this year’s award program was truly exceptional. 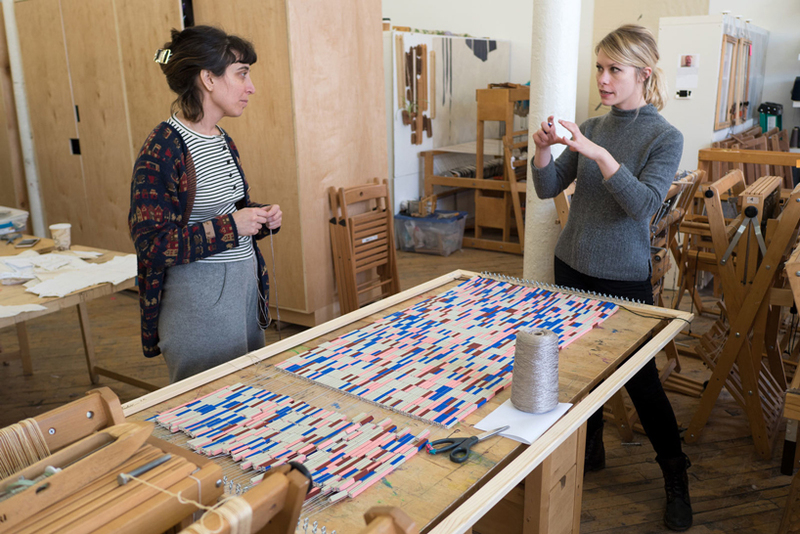 it was very difficult for us to whittle them all down to twelve finalists, then four prototype winners and finally to the grand prix winner, although every stage of the process generated a feisty and enjoyable debate,’ said alice rawsthorn, LEXUS design award 2017 judge and a design commentator. 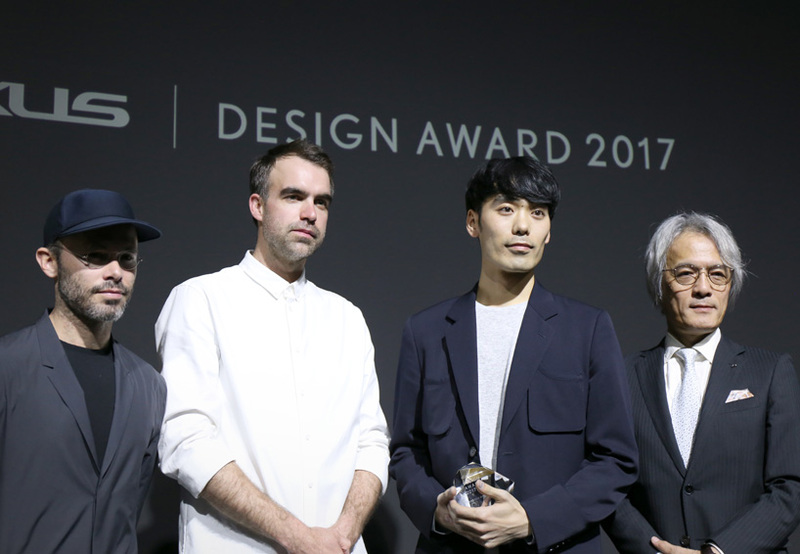 the award was presented by yoshihiro sawa, president of lexus international, during a cocktail ceremony held at la triennale di milano, where the annual design exhibit has been also hosted. 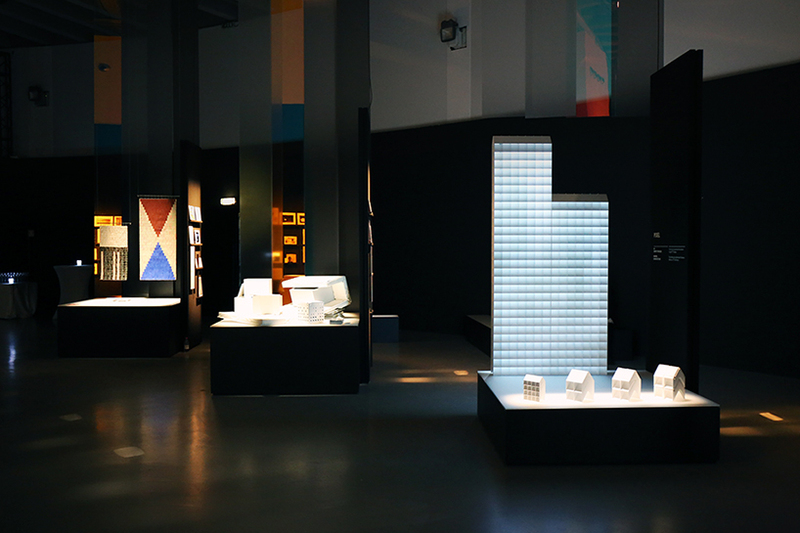 the grand prix work was displayed in the LEXUS YET pavilion, together with the other 11 finalist’s projects. 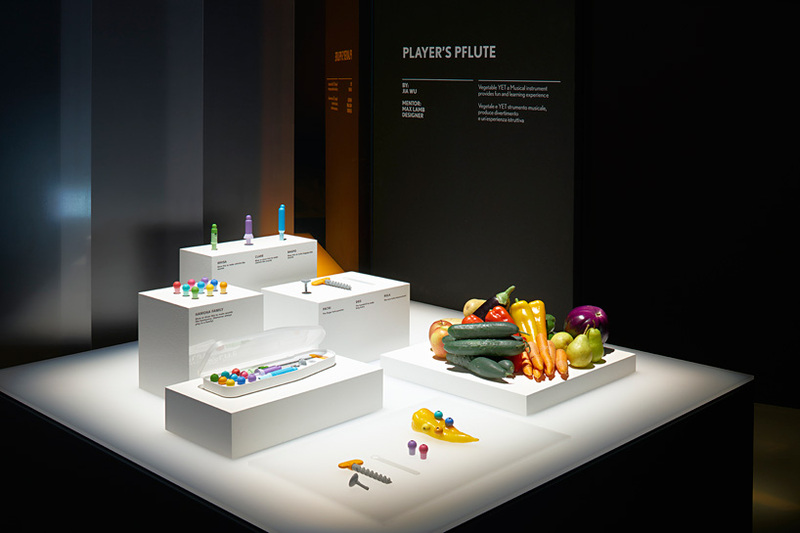 created by jia wu and mentored by max lab, ‘player’s pflute’ is a musical instrument made of a vegetable aiming children to explore music. 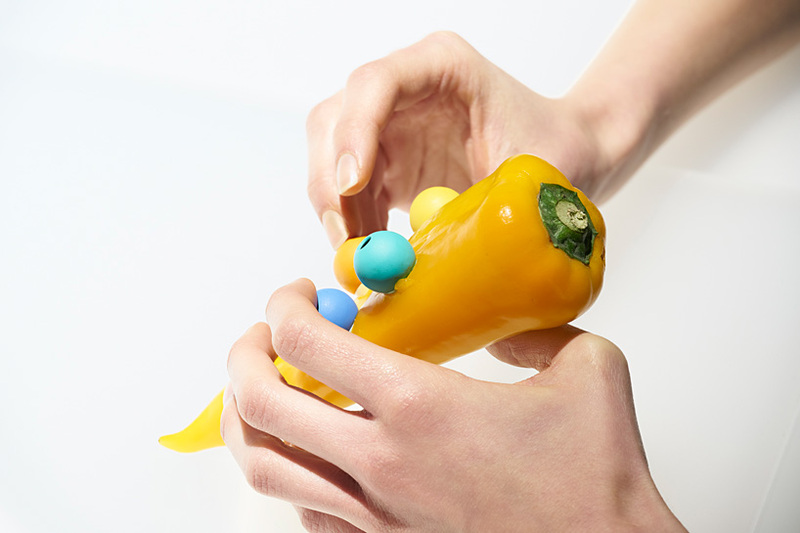 the modular music toy system connects everyday objects using imaginative invention with musical creativity, encouraging improvisation and giving children the chance to experience music as a familiar and enjoyable activity. the kit consists of different mouthpieces, hole punchers, and connectors, that by putting together, children can assemble their very own instruments and explore different musical tones. ‘structural color’ by jessica fügler is a phenomenon occurring in nature, where color is not the result of pigments but instead is created when light is bent by optical phenomena such as interference, refraction or diffraction caused by microscopic structural features such as the cells of bird feathers or butterfly wings. the project looks to abstractly manifest the sensation found in nature by creating large-scale structures whose surfaces alter based on the viewer’s perspective. 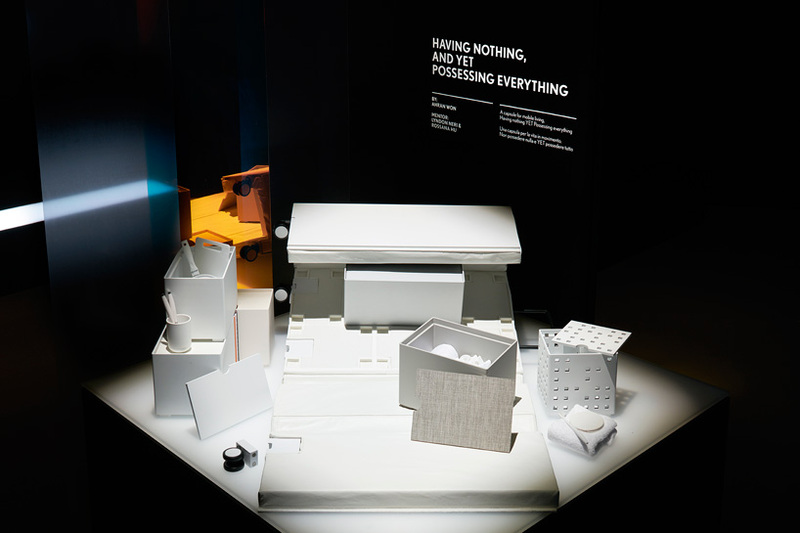 ‘having nothing, and yet possessing everything’ by ahran won and mentored by neri & hu is a capsule that contains only the essentials needed for a minimal lifestyle. the project believes in the power of loving minds and the potential of design to be a positive element for our future. 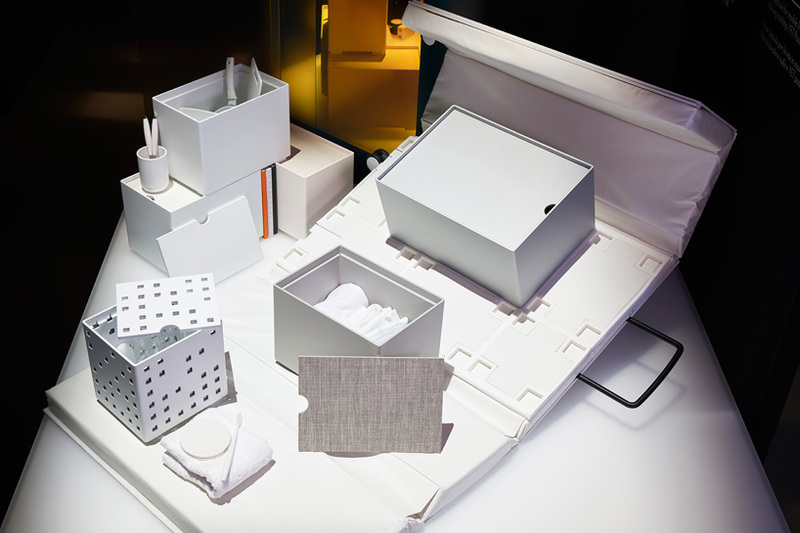 one object has more than one function; like a smartphone, the capsule goes beyond its function as just a container.